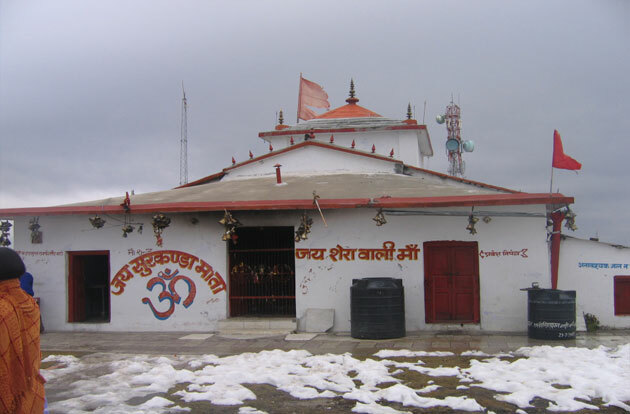 Surkanda Devi temple is very near to Chamba and Dhanaulti. It’s a renowned Hindu temple and surrounded by dense forests and the grand Himalayas. The temple is located at an elevation of 2,750 mts above the sea level and thus looks mesmerizing. If you’d like to reach this temple then you’ll have to leave the Mussoorie-Chamba road at Kadu Khal and thereafter you’ll have to travel by your foot for 1.5. Goddess Parvati, also known as Maa Sati gave her life in the sacrificial ceremony organized by Daksha Prajapati (father of Goddess Parvati) as her father humiliated her husband Lord Shiva by not inviting him for that ceremony. When Lord Shiva carried the body of his wife Goddess Parvati, head fell at this destination and thus this place has awesome religious significance. You’re welcome to visit this place throughout the year. Though, a local fair is organized at this place during Ganga Dasahra in Jyaistha. In this time you can find maximum crowd at this place.